So the idea is to have the inputs from the probs go though a buffer then directly to the memory chip. 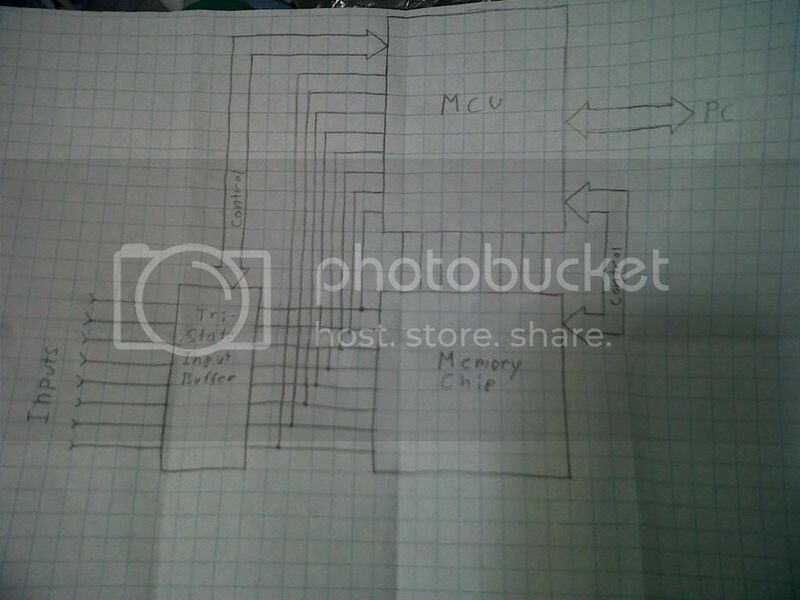 The micro-controller would increment the address on the memory chip and then clock the data in. After taking the readings the MCU changes the state of the buffer outputs to high-z then reads the data from the memory chip. This might be done before, I don't know lol.